How do you input into forum? You need to use the full URL that points to the image itself. What you have done will not work because the URL points to a script instead of an image. Here is the correct way to do it. Use the Quote button to see what I did. Thank you Boyd for your assistance while I was out on the road a bit. @wisejayc......is the picture that Boyd has posted, the actual picture of the contents of your tn765t? Oh gosh, that`s just a hop, skip and a jump from my location. I`m approx 16 miles due South of the Wolcott area. Bet you don`t miss some of these torrid winter weather events from around this area, hahahahaaa. @wisejayc: I meant that you could use the "quote" button to inspect the code that I used to post the screenshot. I didn't mean that you should actually post a quote. :wink: Glad I could help. 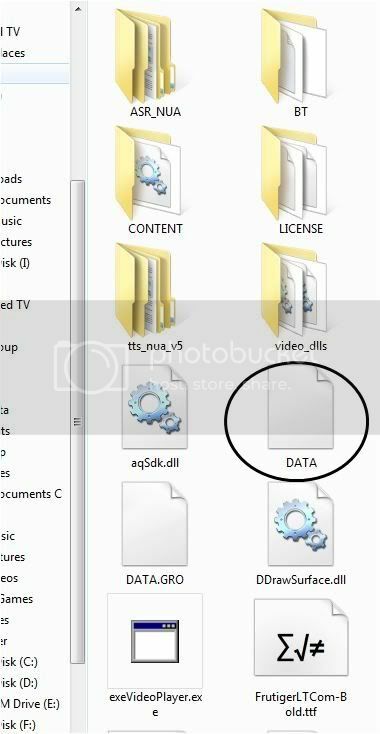 @wisejayc......ok, while inspecting your Motonav folder, your datazip doesn`t really look "right".....in other words, it looks like it`s a text . document icon, instead of a zip file icon. Also, do you currently have any program that is capable of opening zip file, such as winzip, 7 zip, or Winrar already loaded onto your pc? Kind of wondering maybe buy current IGO8 or Garmin map and use in TN765T? I am a new user from the UK and just bought one of these sat navs. Can anyone please provide a link to the latest blueTOOTH skin ? Thanks for the info of being able to edit again. The new option is much better than no edit at all. Here is the path to follow. Save Data.zip to your desktop. open navigatemap_854_358 with Notepad++ or Notepad go to edit/find next and type in color=#FF9900 click find next (This is the orange color). Replace with color=#F F F F F F (this will be white). Continue until all have been changed. Save changes and install the revised Data.zip Choose Ok to copy and replace the previous Data.zip. Your font will now be white instead of orange. FYI the bright green color is 00FF00 if you wish to make changes there also. NOTE: This post made it appear to have spaces between the F's for the white. However no spaces are to be used. I am leaving tomorrow for a trip to Arkansas. To try out the Modifications on the Road. Can you please tell me how to make the shaded area the text sits in darker ? I just want the text to stand out more. I now need to know how to enlarge and reduce the shaded area the text sits in. After much playing around and editing i managed to do all i needed.